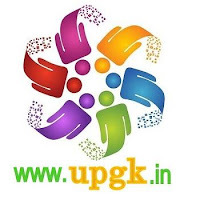 Uttar Pradesh (UP) GK Question in Hindi Sample Paper 1: Uttar Pradesh (UP) General Knowledge Sample Question Paper No. 1 with Collection of 10 Quiz from Uttar Pradesh (UP) GK . Uttar Pradesh (UP) General Knowledge (GK) and General Studies (GS) Questions from various examinations of Uttar Pradesh (UP) Govt. and central Govt. Here is collection of Uttar Pradesh (UP) GK Quiz in PDF Format for free download on Best website for Uttar Pradesh (UP) GK in India. Candidates ca download Uttar Pradesh (UP) GK Sample paper in PDF Format for free from below website link. 1. उत्तर प्रदेश शैक्षणिक अनुसन्धान एवं विकास परिषद की स्थापना किस वर्ष की गई? 2. How many districts are there in Uttar Pradesh? Q.4 कुम्भ का मेला उत्तर प्रदेश के किस नगर में लगता है? 5. With which of the following country’s collaboration will ‘Tehri Dam Project’ be completed in the State? 6. In which of the following districts is the ‘Mango’ cultivation not done in the State? 7. In which district of Uttar Pradesh has solar energy plant been started? 9. By which of the following names is the religious place Varanasi not known in Uttar Pradesh? 10. Which one of the following parties played a major role in support of Uttaranchal in the northern part of Uttar Pradesh?